What beats 100,000 times per day, pumps about 1 million barrels of blood during an average lifetime, and does the most physical work of any muscle in your body over a lifetime? This month, the American Heart Association encourages you to show your heart some love by celebrating American Heart Month and spreading the news about heart health awareness. According to Health Finder, heart disease is the leading cause of death for men and women in the United States. One in four deaths are caused by heart disease every year. By using this month to raise awareness of heart disease, you can help prevent it for yourself and others. There are many types of heart disease, such as coronary artery disease, abnormal heart rhythms, heart attacks, vascular disease and more. Click here for a complete list. Most heart attacks are the end result of coronary artery disease, a condition that clogs coronary arteries with fatty, calcified plaques. Heart disease is the leading cause of death in women over 40 years old, especially after menopause. And the risk of heart disease in women continues to increase with age. High levels of homocysteine, a common amino acid in your blood you get mostly from eating meat, are linked to the early development of heart disease. Your body produces C-reactive protein, or CRP, when it senses the forming of inflammation. CRP found in the blood could mean inflammation of the arteries and increased risk of heart disease. Knowledge is power when it comes to staying healthy, but don’t let that information cause you to lose heart! Here are few simple ways to kick heart disease to the curb. These are some great ways to prevent, and even reverse, certain types of heart disease. If you’re concerned that you might be at risk, make sure you consult with your doctor and begin implementing these healthy lifestyle changes immediately. Take this assessment to find out if you might be at risk for heart disease. 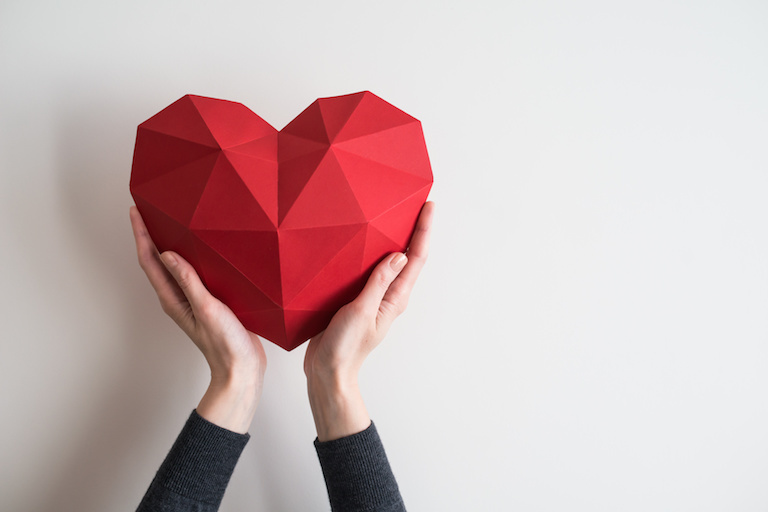 And don’t forget to show some love to your heart and the hearts of others this month by sharing what you’ve learned about heart health awareness! Here are some great tools you can use to spread the news.